SEE ALSO: My Car Does What? 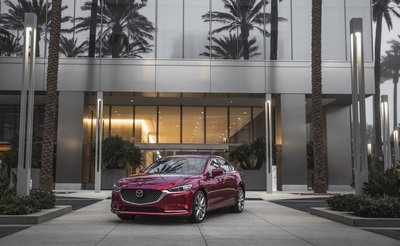 IRVINE, Calif. (April 4, 2019) – Mazda vehicles are designed with the driver in mind and having an active approach to safety can help build upon a premium driving experience with even more peace of mind. Confident driving is better driving, and the updates to the 2019 Mazda6 demonstrate Mazda’s commitment to providing its customers with advanced safety technologies. As Mazda continues to build a strong, emotional bond with its customers, it understands that there are still many fans of midsize sedans and is dedicated to providing refined, premium options. With its unique combination of driving character, safety technology and premium accommodations, the 2019 Mazda6, arriving in dealerships nationwide in April 2019, continues to provide a compelling choice. Mazda North American Operations is headquartered in Irvine, California, and oversees the sales, marketing, parts and customer service support of Mazda vehicles in the United States and Mexico through nearly 700 dealers.